Not much for a blog post – just wanted to share that our kinect is finally installed in the sensory room and will be blogging about the whole setup in the next week!!!! This summer, I am going to start to learn coding, specifically Processing. This is a development platform that allows you to write software to make images, animations and interactions. 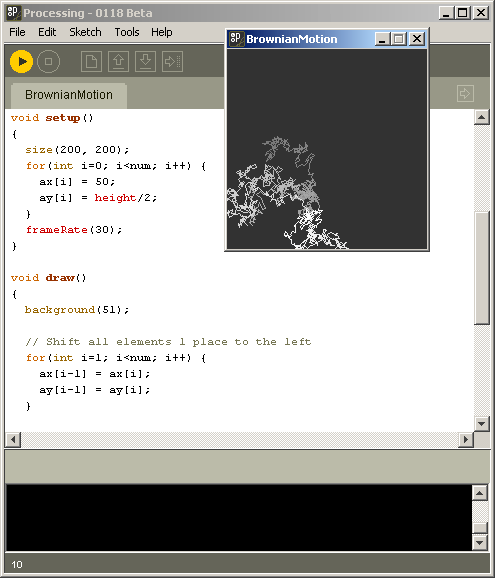 It was originally developed to make programming graphics easier than using other languages such as C++ and Java. Now you might be asking my I am learning this language and what benefit it might have for the students I worked with. I have previously written about different natural user interfaces like the Microsoft Kinect and the software I have used with them – Visikord and Po-motion. These programmes are really good and I have seen some great engagement by students whilst using these. What is clear is the students love to explore the different aspects of the applications and the natural user interfaces allow the students to do things they simply could not do or access before. From discussions with colleagues at school, on Twitter (@trinityfieldsit) and looking at what Ceri Williams (@cerirwilliams) has been working on, this has prompted me to start learning to code so that I can develop different programmes that users can interact with using the Kinect. I am also interested in how different program's work and hope that by learning to code simple interactive graphics programmes, I will be able to gain a better understanding of how developers create apps and software. 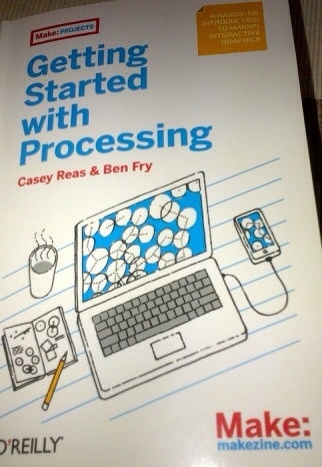 'Getting Started with Processing' – Casey Reas and Ben Fry – gives you a introduction to the Processing language and gives you practical examples to work with. 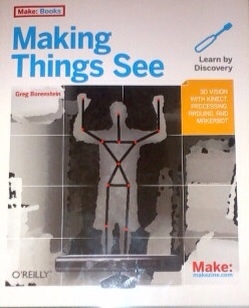 'Making Things See' – Greg Borenstein – a hands-on guide that takes you through the steps to create applications that uses the Microsoft Kinect in the Processing language. I will post on the blog the progress I make on this project but in the meantime if you are interested in using the Kinect with SEN check out the Kinect in the Classroom page of my blog or look at the Kinect in SEN wiki which represents the work of the Personal Learning Community of @trinityfieldsit, @LittleAngelsSch, @cerirwilliams and myself. The idea of the wiki is to showcase the excellent work being done by those using the kinect in SEN. The purpose of this post is to explore some of the technology that myself and some of my colleagues are hoping to implement in our school over the next year. We have set up an ICT working group with two aims. The first is to explore cost effective ways of using technology to create engaging and creative uses of ICT. The second is to explore new technology and see what potential it may have for SEN learners. The discussion started with an introduction to some of the ideas we have come across in the last couple of months. The original idea for using Raspberry Pi as a cheap solution came from Julian S. Wood (@ideas_factory). He blogged about using the mobile version of the Chrome operating system: Chromium OS to turn old laptops and netbooks into Chromebooks. He also mentioned using Raspberry Pi for this. An excellent idea and something we are looking to do to recycle our old laptops. QR codes are similar to barcodes and enable you to link websites, videos, recordings etc. to a code which can be read with a webcam/smartphone/ipad to take the user directly to the content. What I like is that is provides a cheap solution to those students who are unable to type web addresses but can navigate sites once they are on them. I have already experimented with using these in our Life Skills curriculum which you can read more about here. Again I first saw this being demonstrated by Carol Allen (@caroljallen) at the Teachmeet SEN held in Leicester in February. We already use flip cameras in the school which are great as they provide instant feedback for students with simple interface that the majority of our students can use. 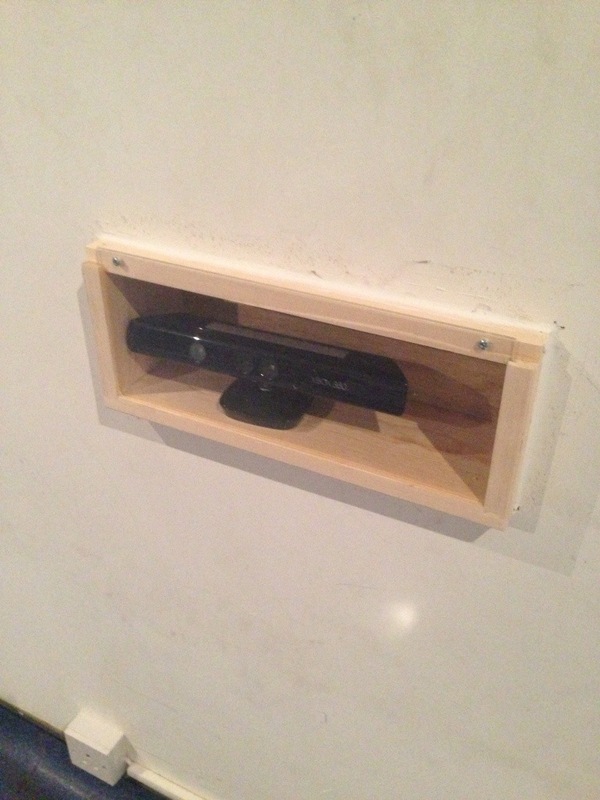 The great thing about this camcorder projector is that you are able to project a 65” screen onto any surface. This is great for showing groups of students their work instantly without any fiddling about for wires and transferring files to the computer. Microsoft have now released the Windows version of the Kinect and there are developers out there who are creating some interesting applications for the device. KinectEDucation is one site that has a community of developers specifically for education. This is an area that I am quite excited by and look forward to keeping you posted on this. I would be very interested in hearing from other professionals who may have already trialled the some of the ideas from this post and hope the post has got you thinking about the potential that new and existing technology can have for SEN teaching.